There are many ways to experience Alaska’s stunning landscapes and wildlife, but perhaps the most intimate is by kayak. Whether you’re new to sea kayaking in Alaska, a seasoned veteran, or somewhere in between, there are plenty of options for you to explore the breathtaking views. Traveling in Alaska on a small cruise ship or tour bus gives you near-countless adventures to embark on. Throughout your time exploring The Final Frontier, you’ll be able to find an activity that delights your senses, challenges your worldly perceptions and encourages an unbridled sense of awe. Alaska is home to dozens of steamy, bubbling hot springs that reward any daring adventurers who voyage out into the frigid winter temperatures. It’s hard not to be impressed with the mountain peaks in Alaska. Breathtaking vistas and one-of-a-kind geologic formations make up The Alaska Range, home to the five tallest mountains in the state. 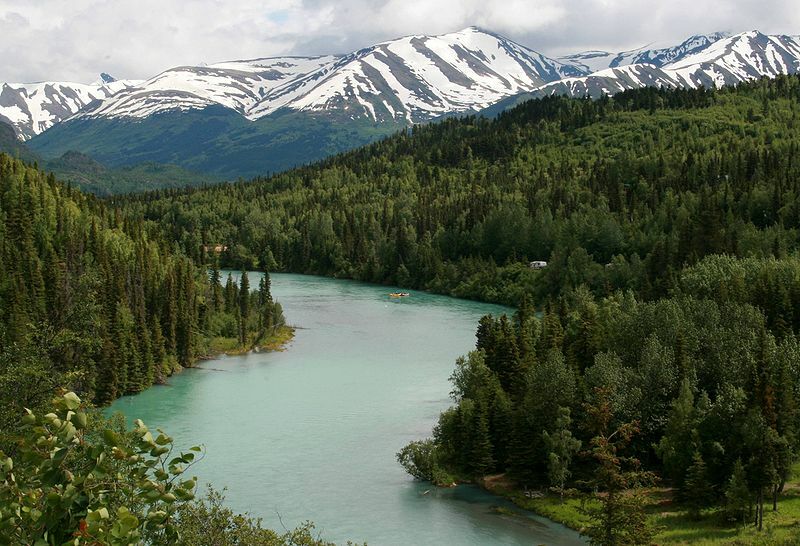 Read up on these five mountains and get ready to plan your next trip to the Alaskan wilderness. The Yukon Territory is sparsely populated and conjures up thoughts of open land and the freedom to explore. From backpacking in Kluane National Park and Reserve to fishing on Kusawa Lake, there is an abundance of beauty to see. There are many stunning ice caves to explore in Alaska. Read this blog post to learn which ice caves to visit, how to visit them, as well as safety precautions to take. Alaska is an incredible place to visit and experiencing it as an angler is even better. We picked our top 5 favorite destinations to go fishing below. Living in Alaska is like living in a zoo that’s open 24 hours a day, seven days a week. All kinds of wildlife creatures roam freely through the forests and plains—and sometimes even down Main Street! Have you ever seen the blue ice of a glacial cave, or heard a glacier calve? Have you ever watched a pack of sled dogs mush? Have you fished alongside a brown bear? What about walked across the sealed cap of an active volcano?